Briar Ridge Vineyard is a 5 star winery nestled in the Mount View region of the Hunter Valley, a well renowned viticultural area. Originally owned by Murray Robson, the vineyards were first planted in 1972, and known as the ‘Squire Vineyard’. This Iconic Hunter Vineyard was purchased in 1988 by Dr John Davis which makes up one third of his vineyard resources located throughout Australia which also includes Orange in Central NSW and Wrattonbully on the Limestone Coast. 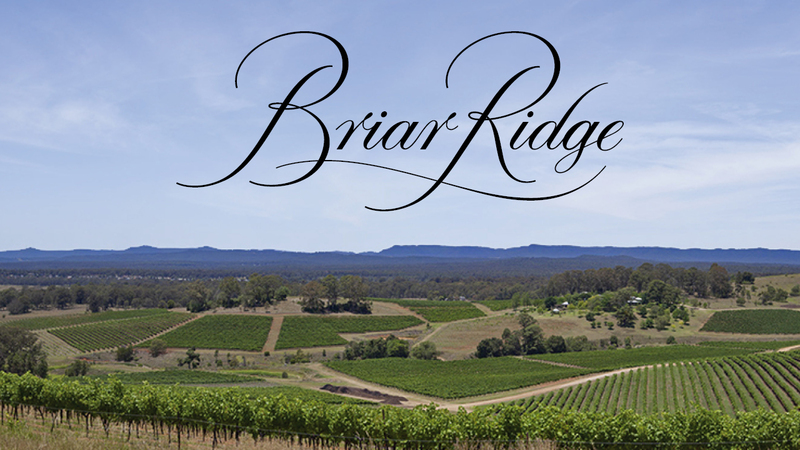 Briar Ridge are one of the leading producers of iconic Hunter Valley wines who have been awarded numerous accolades on both the National and International Wine Show Circuit. This is reinforced by their 5 star rating awarded by Australia’s renowned wine critic James Halliday for 7 consecutive years running from 2011-2017. Their philosophy is simple... produce world class wines from premium estate grown vineyards and enhance the fruit quality through careful vineyard management. With Chief Winemaker ‘Gwyn Olsen’ leading production, their wines have been gaining worldwide acclaim. Gwyn studied Oenology at Roseworthy University in Adelaide, graduating in 2005, completing her first vintage in France, with a further six in New Zealand, and three in the Hunter Valley. She has recently joined an elite group of winemakers after being named DUX of the Australian Wine Research Institute, Advanced Wine Assessment Course 2012. Gwyn also joins the talents of Living Legend ‘Karl Stockhausen’, a winemaker with over 50 years of experience in producing iconic Hunter Valley wines with 25 of those years working alongside Briar Ridge. Briar Ridge take huge pride in acknowledging Karl’s success by showcasing a range under their brand which typify traditional Hunter Styles; the Karl Stockhausen Signature range includes styles such as Semillon, Chardonnay and Shiraz. In 2007, Karl was officially made a ‘Living Legend’, one of the six inaugural recipients of the Hunter Living Legends Awards.